The Samsung Galaxy X, which may end up being called the Galaxy F, is set to be a foldable phone that's even more flexible than the company's naming department appears to be. Now it's been seen in renders that could give us a glimpse of the reality. Dutch website NieuweMobiel has teamed up with designer Jonas Dähnert to offer up some stunning renders of what the Samsung Galaxy X, or F, could look like based on leaks and rumours so far. It's a beauty. As you can see the handset folds across its length so it's pocket-friendly but also able to stretch out into a tablet-like display. Yup, there's no sign of a join anywhere on that screen. 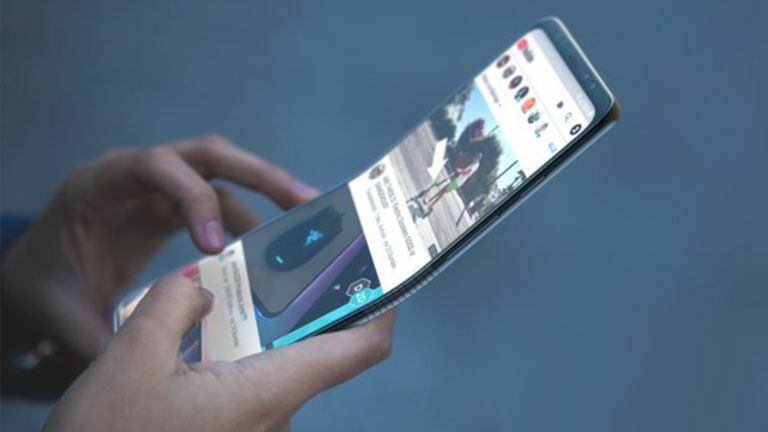 This is what's now expected from Samsung if it's going to be the world's first company to offer a true folding phone, as its CEO DJ Koh has publicly said it will be. The Galaxy X, or F, will still feature a high-end camera according to these renders with a dual lens which sits on the back that folds so the camera appears to work both folded down and rolled out. The hinge that allows for said rolling appears much like a previously leaked patent Samsung filed, meaning a solid yet flexible build. But will it features Samsung's unbreakable screen which its Display arm unveiled recently? We'll have to wait until January or February next year to find out.